Detergent sales are up, innovation continues and Henkel is determined to make it a dogfight in the segment. Procter & Gamble still rules the roost when it comes to the US laundry category, but it’s Henkel that’s crowing loudest these days. 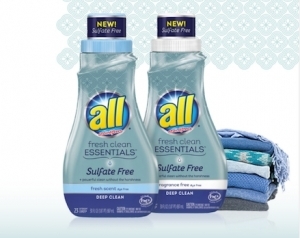 The German multinational grabbed headlines more than a year ago when it dared to challenge P&G on its home turf with the rollout of Persil in the US—a launch that quickly gained traction. 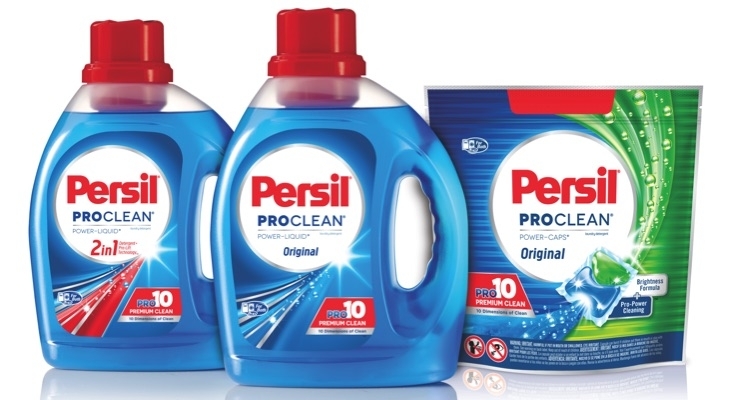 According to Ian Bell, head of home care, tissue and hygiene research, Euromonitor International, the Persil launch lifted Henkel’s sales from $67 million in 2015 to $150 million last year. 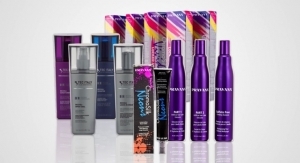 Next, Henkel made an even bigger bet on the New World with the August acquisition of Sun Products for about $3.6 billion. 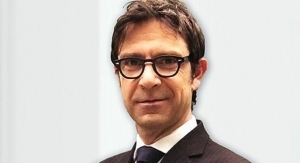 The move immediately gave Henkel a better position in the world’s biggest laundry care market. With a new owner, brands such as All and Snuggle may see a revival just as the US laundry category enters a new era of growth. According to Euromonitor estimates, US laundry care sales rose for the first time since 2011, adding 2.3% year-on-year to top $12 billion. The gain, of course, is due to the continued success of unit dose formulas. Bell noted that unit dose formula sales totaled just $2.5 million in 2011, its first year on the market. In 2016, unit dose sales rose 20% to $1.2 billion. Meanwhile, sales of liquids rose 1.5%, and powders fell 8%. The rise of unit dose doesn’t surprise Jonathan Propper, CEO of Cot’nwash, who created Dropps unit dose detergent in 2008. Back then, multinationals insisted that unit dose would never come to the laundry detergent aisle because people love to control their own dosing. “But then the recession came, people started trading down in laundry due to a lack of innovation, and suddenly the big guys decided that people don’t need to control the dose!” he recalled. Recent data from Information Resources, Inc. (IRI) are even more promising. Laundry detergent sales rose more than 3.3% to over $7.1 billion for the 52 weeks ended Oct. 30, 2016. The liquid laundry category still accounts for more than 70% of sales ($5.2 billion), while powders could only muster sales of $731 million, according to IRI. “Eventually powders will just disappear,” predicted Bell. Another laundry loser is private label. With price wars among the national brands heating up again, the price differentiation between store brands and multinationals isn’t great. 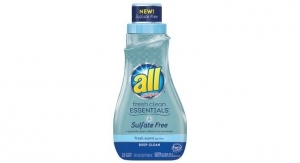 For example, a 138oz bottle of Tide Simply Clean & Fresh recently retailed at Walmart for just $9.97 or just 7.2 cents an ounce; even better, Arm & Hammer 2X Ultra Clean was on sale for $9.98 or 4.8 cents an ounce. No wonder, then, that private label hasn’t made headway in laundry care like it has in other fast-moving consumer goods sectors. P&G, Henkel and Church & Dwight dominate, and will continue to dominate the US laundry business, said Bell. That was enough to convince Unilever CEO Paul Polman to pursue the acquisition Seventh Generation. Of course, an added plus is SevGen’s $200 million in sales and history of double-digit growth, year-on-year, for the past decade. 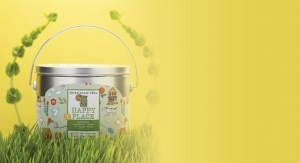 Environmentalism should continue to shape consumer attitudes about the products they buy. 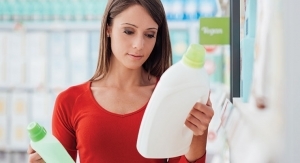 But consumers aren’t always swayed by green or even how clean detergents get their clothes. According to Tracey L. Long, senior communications manager, fabric care, P&G, consumers have a growing need for odor removal from their clothing as “athlesiurewear” has become a preferred form of daily apparel, not just for early morning runs, CrossFit or spinning class. • 69% of people wear athleisure clothes three or more times per week. Consumer love of this look has shifted the washload to one that is composed of more synthetic fabrics. These channels allow moisture to pass through the fabric but, it also creates nooks and crannies for dirt and odor molecules to settle in and “hide,” leading to malodor, according to Long. To address odor issues, last year P&G introduced Tide Odor Rescue with Febreze Odor Defense. “For years the industry has focused on stain removal—we are pivoting to ensure all signals of clear are addressed and so introduced Tide Odor Defense collection,” explained Long. Another trend impacting consumer laundry habits is the rise of high efficiency and large-size washers. According to P&G, more than 50% of US households have a HE washer and with that comes larger loads. “Larger loads equal more cleaning to do through the wash so dosing continues to be an important habit change we must help drive to ensure satisfaction with our products,” explained Long. 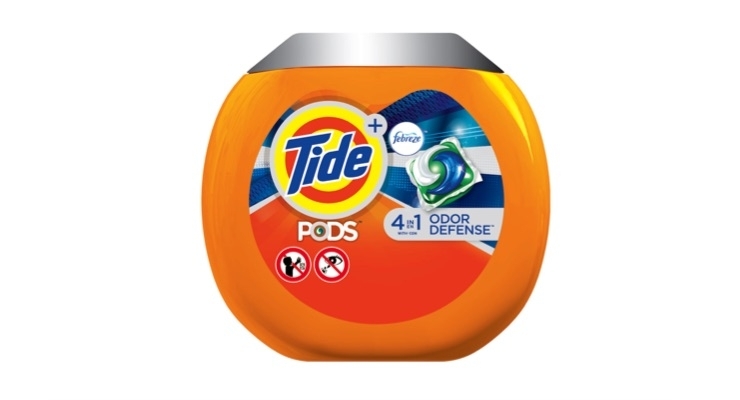 To that end, P&G is recommending consumers use two pods to clean very dirty clothes, but Long admitted that it is too early to say whether consumers are changing their dosing habits. Finally, growing consumer demand for products with natural ingredients, yet they don’t want to sacrifice cleaning. In response, P&G launched Tide Purclean this year, its first 65% bio-based detergent with the cleaning power of Tide, Long said. As the new No. 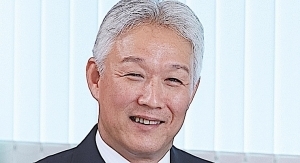 2 player in the US laundry category, Henkel is sure to respond to P&G’s launches with new products of its own, but a spokesperson told Happi it was too early to discuss the company’s plans. “Please circle back in early 2017, as we’ll be able to discuss more relating to Persil, integration, innovation and activations,” she said. P&G, Henkel and Church & Dwight dominate the laundry category, but there is plenty of room for companies to find their niche. Sales of products from smaller companies not officially tracked by Euromonitor rose more than 4% to $615 million last year. One of them is Detergent 2.0, created by industry veteran Fred Horowitz. His Wash n’ Go Singles feature a patented formula that is seven times more concentrated than regular laundry detergent. Horowitz, who helped build Xtra into a leading bargain brand, told Happi that there is a compelling white space in the market for an aggressively priced laundry product. 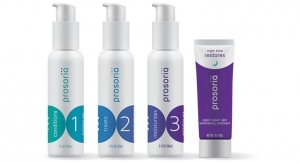 According to Horowitz, while it is more expensive to make unit dose, the total package is less expensive in that there are no big, heavy plastic bottles to ship around the country. 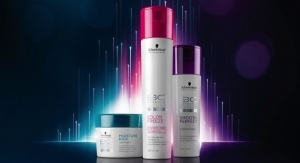 Wash n’ Go’s formula uses less water than any other unit dose product in the market; as a result it also contains a higher percentage of active ingredients than most competitors in the category, according to Horowitz. “Consumers get more bang for their buck and our unit dose package is about half the size of the competition,” he insisted. 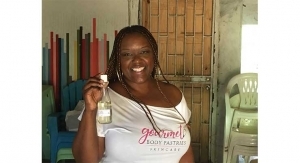 The initial Wash n’ Go launch was packaged in a 45-load container retailing for $4.99. Now, Detergent 2.0 is offering a 24-load pack for $2.99 to provide different options for different retail channels. The plan is working; Detergent 2.0 available online, through Jet and in traditional brick-and-mortar retailers. Horowitz expects to announce a chain-wide launch soon. Propper feels the same way. His Dropps formulas are shipped direct to the consumer and were doing that well before Amazon became a household name. “We say, ‘Everyday, someone dies and another store closes,’” he reasoned. 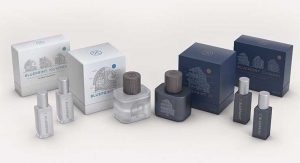 Now, nine years after inventing unit dose and being a pioneer in the direct-to-consumer space, Dropps has introduced a bio-based formula. Maintaining the green theme, Propper and his team developed a special box container to hold Dropps. 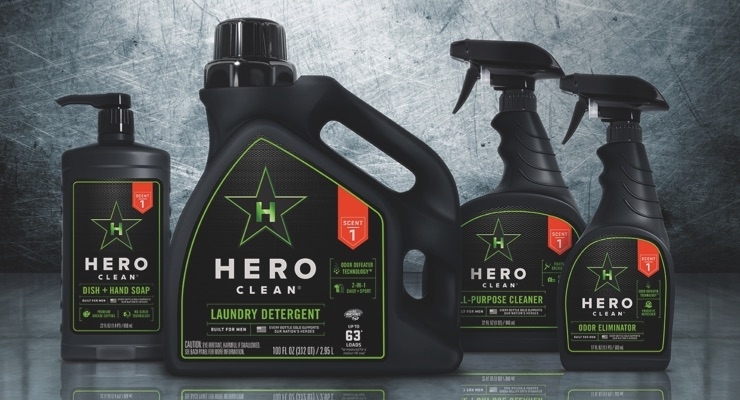 Another smaller brand that’s gaining fans is Hero Clean, the brainchild of Mike Eaton, who founded the company after he couldn’t find a detergent with a scent suitable for a guy. According to Eaton, 47% of men in the US are single, a 20% increase during the past 10 years. Yet, they are invisible to FMCG companies which still design their cleaning products for women. Hero Clean, with its gin-inspired juniper-based scent, has caught on quickly with consumers and retailers since its 2015 launch. The line is available in Target and Wegmans and online through Jet and Amazon. Most recently, Hero Clean picked up Ace Hardware. “It was a white space, a void in the marketplace, especially in regard to fragrance,” said Eaton. Liquid detergent retails for $8.49 (50oz) and $12.99 (100oz)—proving that men are willing to pay a higher price if they find a product that they like. The current Hero Clean line also includes dish + hand soap and odor eliminator spray. This year, Hero Clean is expanding into new categories. Unit dose is launching in Target in April, and wipes, dryer sheets, air freshener and scent boosters are slated for a Fall launch. But no matter the category, Hero Clean’s focus remains on technology. But Eaton has competition for men’s money. 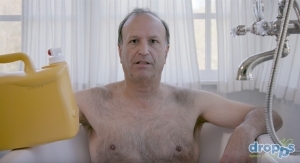 Other male-oriented detergent brands include Dirtyboy and Frey, the latter of which has enjoyed 50% growth each month since it debuted in September 2015. 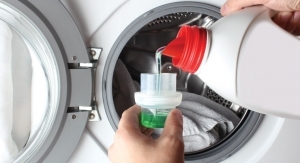 Whether a detergent is designed for a man, woman or child, when it comes to chemical formulations, somebody, somewhere wants them regulated even more. Luckily, the American Cleaning Institute’s strength is scientific policy, said former ACI CEO Ernie Rosenberg, who remains with Institute in an advisory role until Feb. 3, 2018. Rosenberg’s replacement, Melissa Hockstad, became president and CEO of ACI on Jan. 1. Hockstad comes to ACI with extensive experience in the trade association and industry arenas. Prior to joining ACI, she served as VP-petrochemicals at the American Fuel & Petrochemical Manufacturers (AFPM) trade association. Before that, she worked for seven years at SPI: The Plastics Industry Trade Association, including roles as VP-Material Suppliers Council and VP-science, technology and regulatory affairs. The industry celebrated a big win last year with the passage of the Toxic Substances Control Act (TSCA) reform. 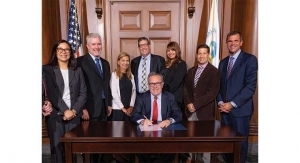 To keep reform efforts moving forward, ACI staff remains engaged with the US Environmental Protection Agency (EPA), Congressional staff still focused on TSCA reform, industry associations and NGOs such as the Environmental Defense Fund, which Rosenberg lauded for its work with industry to achieve TSCA reform. In 2017, ACI staff will be keeping a close eye on how the Trump Administration fills crucial second-tier slots at agencies like the US Food and Drug Administration and EPA. Rosenberg said the Institute will continue to reach out to Republicans and Democrats alike on key issues. At the state level, ACI is monitoring California, as that state looks to revive a rigid ingredient disclosure bill that died in 2016. Rosenberg noted that ACI had an ingredient transparency program in place in 2010. 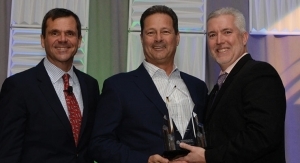 The detergent industry comes together this month at the ACI Annual Meeting & Industry Convention, which will take place Jan. 23-28, 2016 in Florida. 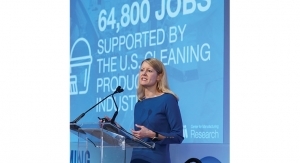 Rosenberg calls it the critical B2B meeting for the cleaning industry supply chain. At the same time, they’ll hear from industry experts on domestic issues and global development from several heads of international associations. Back for a second year is the Innovation in New Technology Showcase, which gives companies breaking into the market an opportunity to introduce their products and services to the right audience. With competition accelerating and marketers big and small fighting for an edge, the advantage always goes to the innovator.